I first came across these recovery/compression boots on Instagram and was instantly intrigued as to what they did and how they worked. After speaking to a few people, I found out that they aided recovery and help reduce soreness in the legs. However, they also came with a pretty price tag! I assumed they were only available in America, so my investigation stopped there. 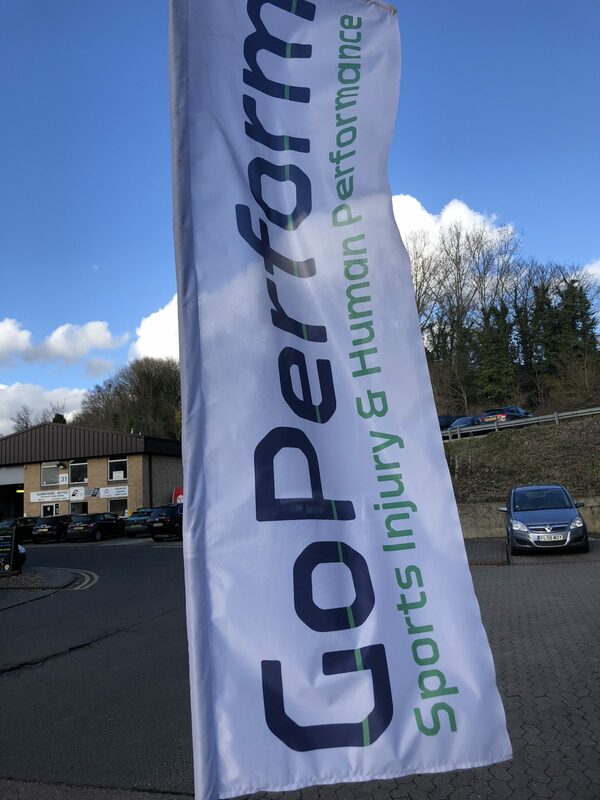 It wasn’t until Anna posted a photo of her sat using a pair, at a sports injury and performance centre in my local town, that I instantly jumped into looking at what other treatments/recovery options they offered. 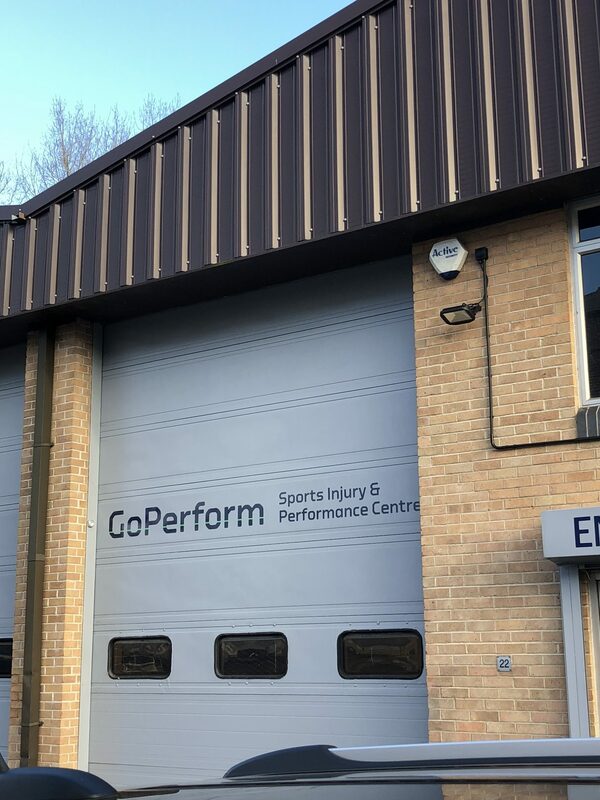 The centre is called GoPerform, and they “help individuals of all ages and capabilities get strong, healthy, overcome injury and maximise their performance potential.” You can find out more about what they offer and much more, here. After being given an extra day off work, I decided to contact the centre about going in to use the boots. They were really quick at responding and so helpful. I turned up and was greeted by Dan, given a tour and set up with the boots. I was really impressed with the centre and how fresh, clean and tidy it was. For £10, you can use the boots for a 15 minute treatment. Now, I don’t think that is a bad price and for what I got out of using them, I’d be prepared to pay that again. Once I was zipped up and connected to the pump, air started to fill sections of the boots, moving up the legs. Once they were full, giving a tight/compression feeling, they released and the process started again. The compression, or pulsing, helps move the fluid in the legs and is done in sections, to prevent it flowing the wrong way. 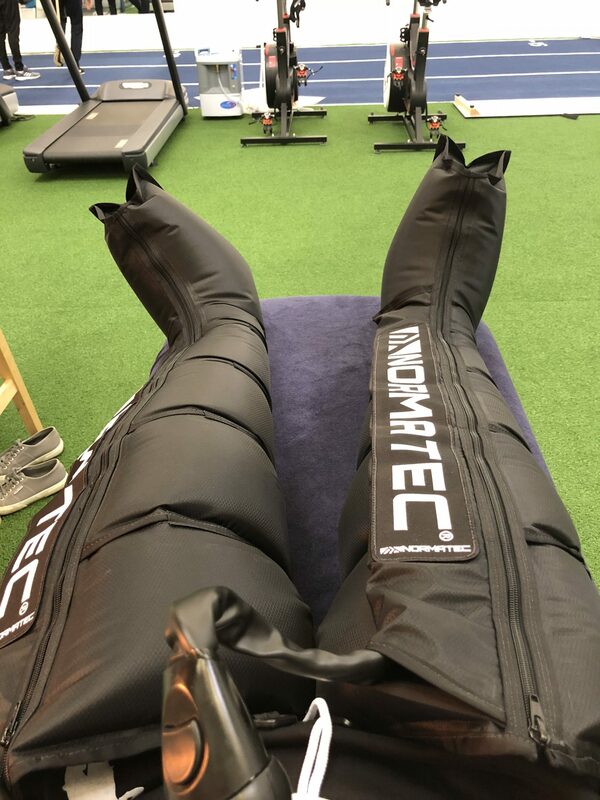 You can find out more from the Normatec website, with a great diagram showing how the boots work! Once my 15 minutes were up, I instantly noticed a huge difference in my legs. They felt light and ‘fresh’. Just what you want before run 17 miles in a few days!! Dan made it clear that I was to stay as long as I like and use the gym/mats to do anymore stretching or recovery exercises that I wished. I really appreciated this, as in no way did I feel rushed to put my shoes on, pay and leave. Another reason I will be going back – I felt extremely welcomed and very comfortable there. As I continue on my marathon journey, I am becoming more fascinated about the body and how training has such an amazing affect on performance and how you feel. My long runs have jumped up recently and I have noticed a small change in how I feel. I’m mainly exhausted and only ache a little but I have a feeling that has a lot to do with how I recover and the methods I use to help my body after pounding it into the pavement for a few hours. Ice baths work a treat, providing I can jump in one straight after my run, alongside stretching with a band and the foam roller. Has anyone else tried these boots? Did you find they worked? I’d love to hear your experiences! Hope you have a great weekend and enjoyed reading this as much as I enjoyed sharing my experience with you! Previous Post Fundraising Target Reached! !